Have a case of the Mondays? Philips thinks they just might have the solution: the company issued a report today showing that the secret to beating the Monday blues could be as easy as adjusting your lighting. The idea is based on the human circadian rhythm, which is based, in part, on the light that surrounds us. By manipulating that light to match our natural rhythm, a good night’s sleep and a happy Monday morning could be just the flip of a switch away. 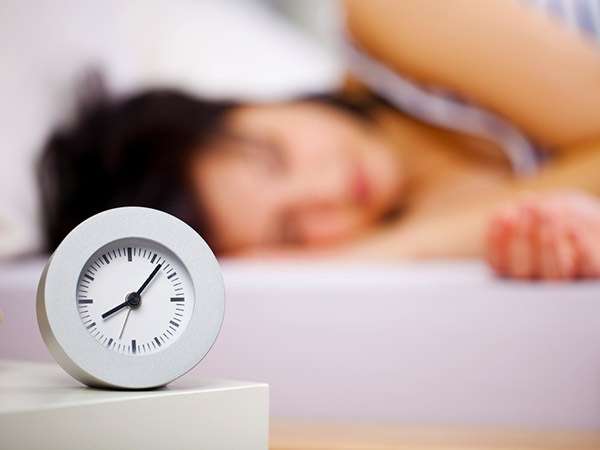 Until now, people have had to rely on alarm clocks to wake up in the morning. But Philips have found that when a certain quality of light hits our eye’s receptors, we can actually manage our own internal body clock, making it easier to wake up when we need to. That internal clock can even be reset every day if we have the right lighting. 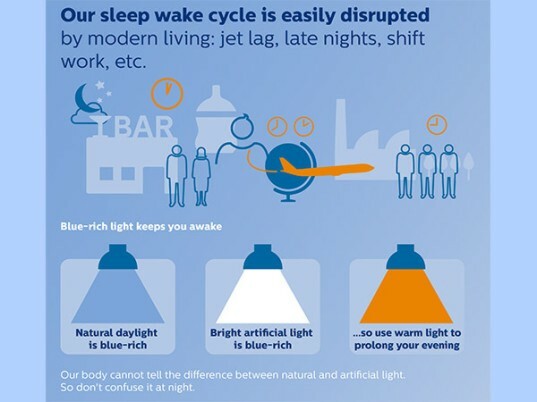 Now, obviously a lighting company has a little bit of an investment in the light theory, but the idea that lighting can impact our sleep has a lot of solid science behind it. In fact, NASA is experimenting with adjusting the lighting at the International Space Station to help combat astronaut insomnia and many hospitals use special lighting to ease patient sleep cycles. The Philips study suggests combining fading warm light at night with cool, blue light in the morning to ease the body into and out of sleep in order to create your own perfect sleep cycle. Using light is particularly useful, since the natural circadian rhythm is not perfectly synched with a 24-hour day to begin with – our cycle typically runs on a 24.5 hour cycle, which means that without other cues, our body naturally wants to go to sleep later each night. Couple this with the fact that our modern lives often force us to miss out on the natural daylight during the day and overindulging in artificial light at night. It all adds up for one messed-up rhythm – but now we may have the simple secret to setting things straight again.